HONG KONG, H.K. - A highly engaging and multi-sensory show, THAIFEX-World of Food Asia returns in its 15th edition, bigger and better to serve up the best of the world's F & B industry in one blockbuster seating. This year, THAIFEX is specially co-organized the world's first clean-label theme pavilion with Asia Pacific Anti Additive Association (APAA). Jointly organized by world leader in organizing food and food technology events, Koelnmesse Pte Ltd, the Department of International Trade Promotion (DITP), and the Thai Chamber of Commerce (TCC), THAIFEX-World Food of Asia is the only regional event to see a synergistic collaboration between the private and public sector to deliver a truly international F & B event unparalleled in quality and diversity. its worldwide members, A.A. Taste Awards winners and A.A. certificated restaurants and food producers’ efforts, A.A. We believe that everyone deserves an informed choice about whether or not to consume food additive, and therefore, we aim to help consumers make healthier and safer food choices. The A.A. Taste Awards, is the leading international award honoring excellence in additive free food products and restaurants in Asia-Pacific region. All the participants from cities all over the world, including Bangkok, Hong Kong, Seoul, Tokyo, Singapore, Malaysia, Sydney and New Zealand. A panel of jurors from industry, academia, and government with broad expertise Michelin Star chefs, nutritionists, dietitians, professors and food editors select the award’s winners from all less-additive qualified entries. Judging criteria included the presentation, taste, production and the cooking process of the meal or product. After a long judging process, the decision has been made and the finalists and honorees will be announced at The Westin Grande Sukhumvit Bangkok‎, Thailand on 23rd March, 2018. 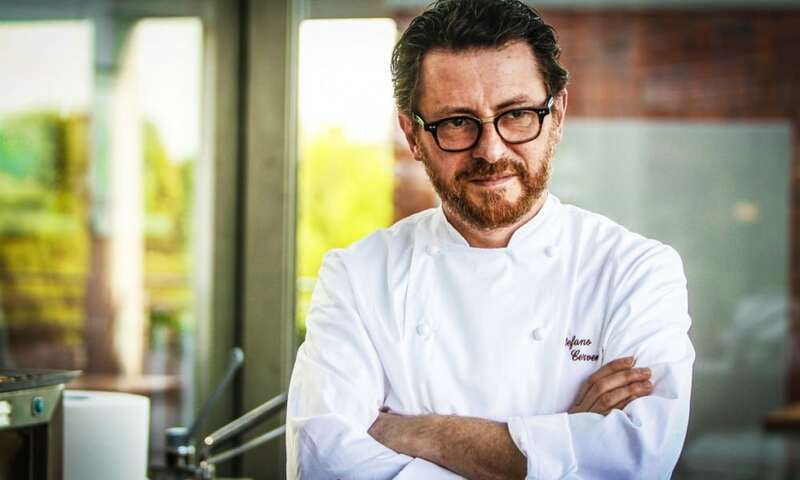 Michelin Starred Chef, Stefano Cerveni, Italy.